The People’s Pension Trustee is responsible for running the scheme and for looking after all the pots of money held by the scheme. Incorporated on 30 May 2012, the Trustee Board is made up of the following individuals. 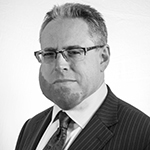 Steve is Managing Director of PAN Governance LLP, and a former President of the Pensions Management Institute (PMI). He sits on the trustee boards of a number of UK pension schemes with total assets of more than £15bn. He has won individual professional awards, including Business Presenter of the Year, Pensions Personality of the Year and Independent Trustee of the Year. Alan is Chairman of BESTrustees and is a Trustee of a number of pension schemes including The Plumbing Industry Pension Scheme. 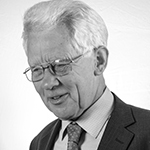 He has over 40 years’ experience across a wide variety of roles in the pensions industry. He has sat on the board of a number of important industry bodies, including serving as Chair of the former National Association of Pension Funds (now the Pensions and Lifetime Savings Association). Sue chairs the Financial Services Consumer Panel. 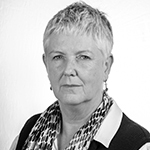 She is a Trustee of leading debt charity StepChange, and also sits on the Professional Standards Board of both the Chartered Insurance Institute and Chartered Banker Institute. Sue works with international bodies on financial education, financial inclusion and consumer protection regulation. She was previously a senior civil servant, most recently responsible for savings and investments policy in HM Treasury. David has 33 years’ pension industry experience across multiple functions, and has been with RPMI since 1989. He’s a Chartered Director with the Institute of Directors and a fellow of the Pensions Management Institute with a degree in Law. David is currently Managing Director for RPMI, the executive arm of the Railways Pension Trustee Company Limited. He’s responsible for the strategic development of the railways pension scheme – including all trustee and governance services, covenant and policy services for both defined benefit and defined contribution schemes. David’s also a Non-Executive Director of Health Shield Friendly Society Ltd serving as chairman of the Business Development and Investment Committee and a member of the Nomination and Remuneration and Pensions Governance Committees. 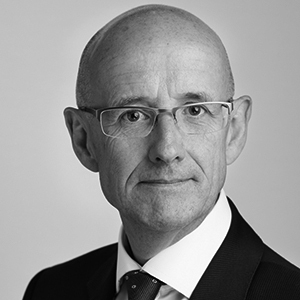 In addition to building a portfolio of non-executive and trusteeship roles, Chris is an Associate Director with independent consultancy, Muse Advisory. Prior to this appointment he was a Trustee of the Towers Watson Pension Scheme and worked in Willis Towers Watson’s Investment Advisory and Fiduciary Management teams. 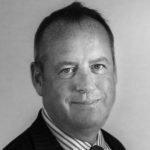 With almost 30 years of experience at UK pension schemes, Chris’ expertise helps to further strengthen the technical pensions offering at The People’s Pension.